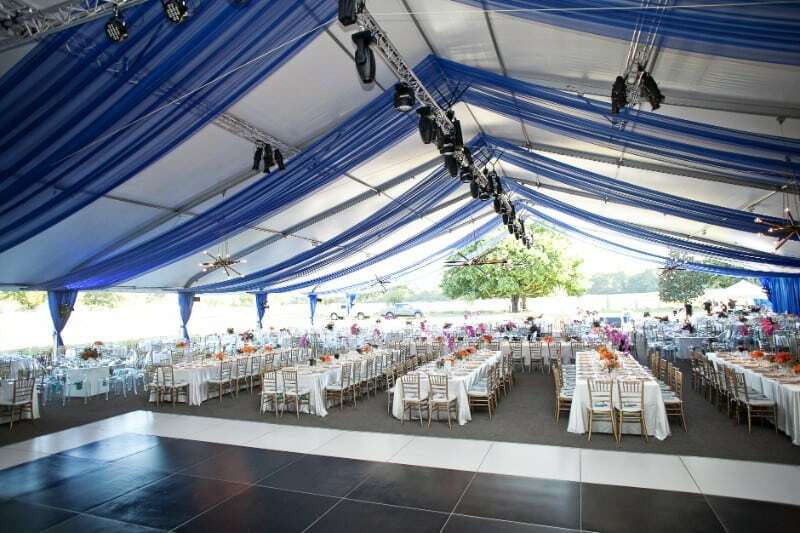 Southern Events was so thrilled to be back for the 2018 Heritage Ball at the Eastern Flank Battlefield Park in Franklin, Tennessee. 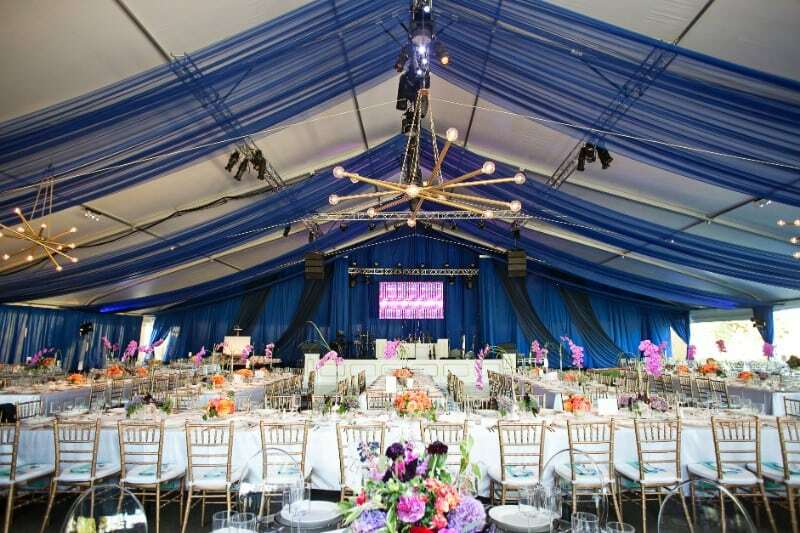 The Heritage Ball plays a proud part in the preservation of historic Downtown Franklin, and is the longest-running annual event in local history! 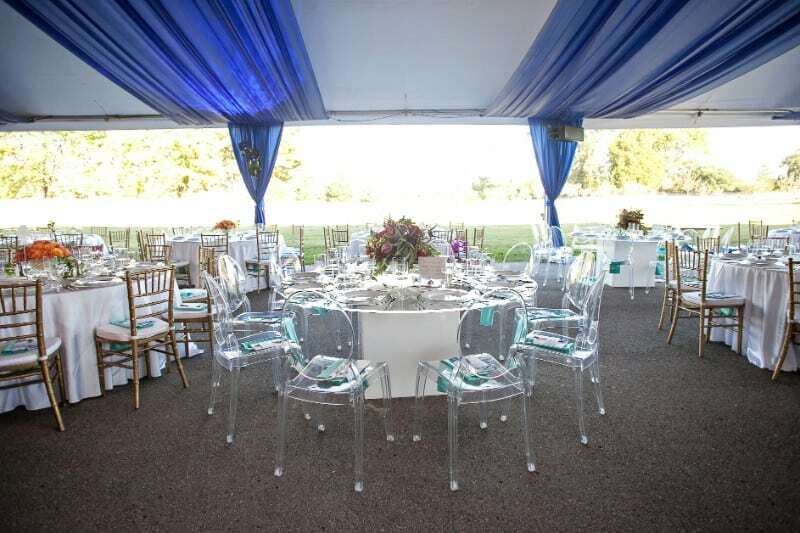 Team Southern has been a proud sponsor for years and this year, our distinct event rentals were designed to create a fresh and fun “tie-dye” extravaganza. 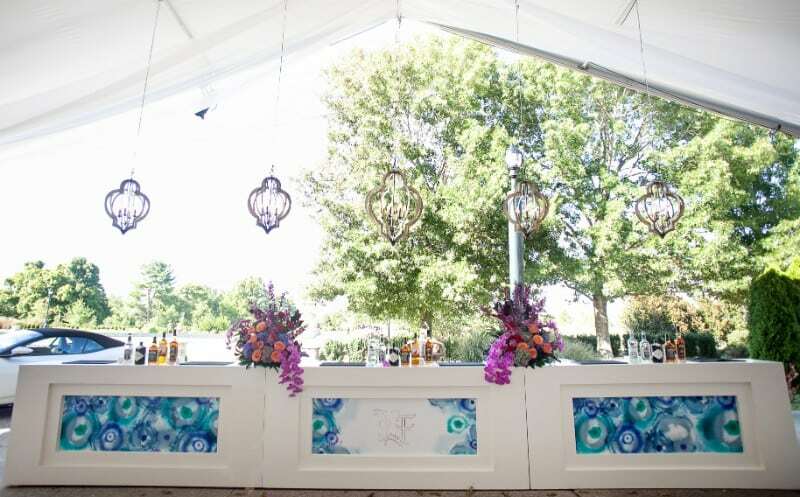 Modern party rentals combined with brightly colored details made for an absolutely jaw-dropping event! 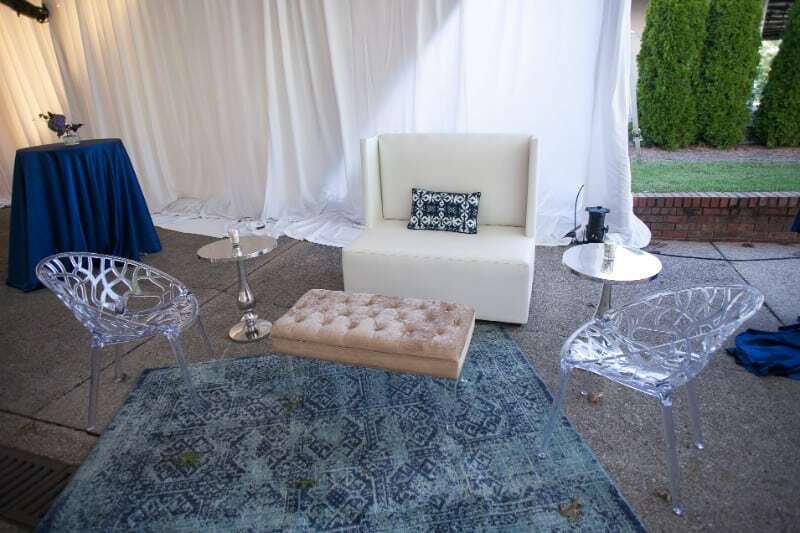 Want to see how our rentals have styled the Heritage Ball in the past? 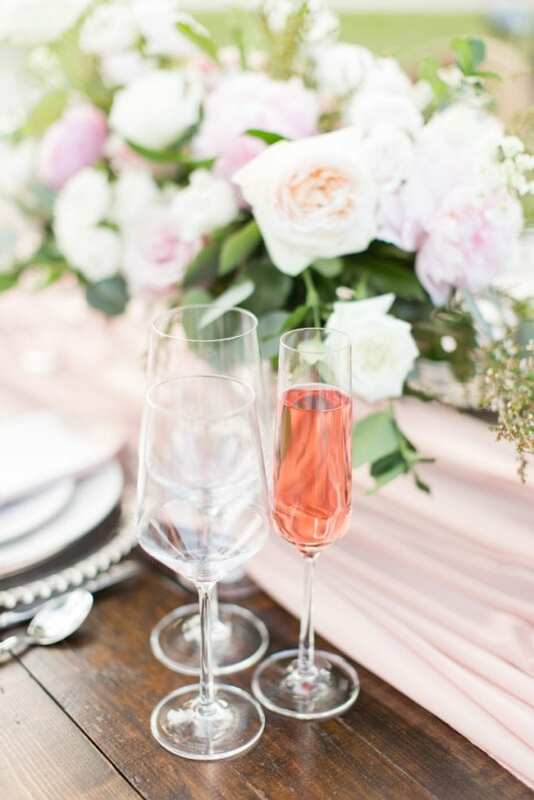 Check out our 2015, 2016, and 2017 recaps! 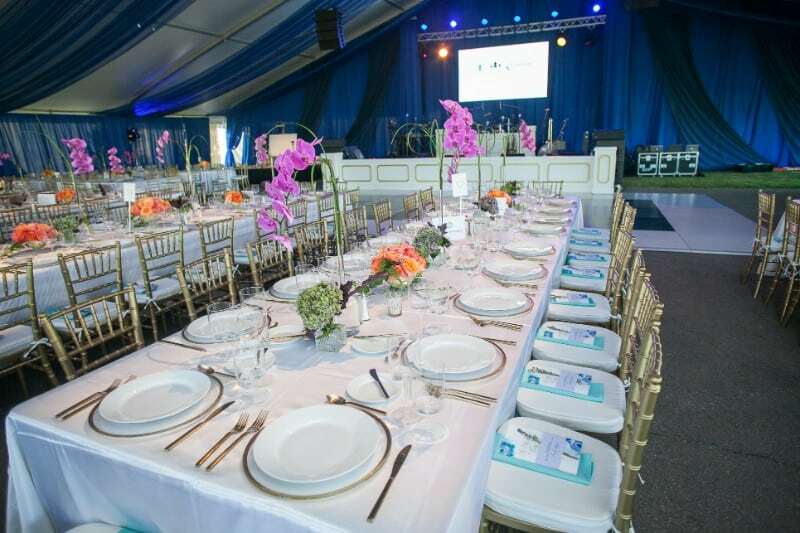 This year’s heritage ball was a colorful event, combining some of our newest rentals in chic hues of blue with bright blooms. 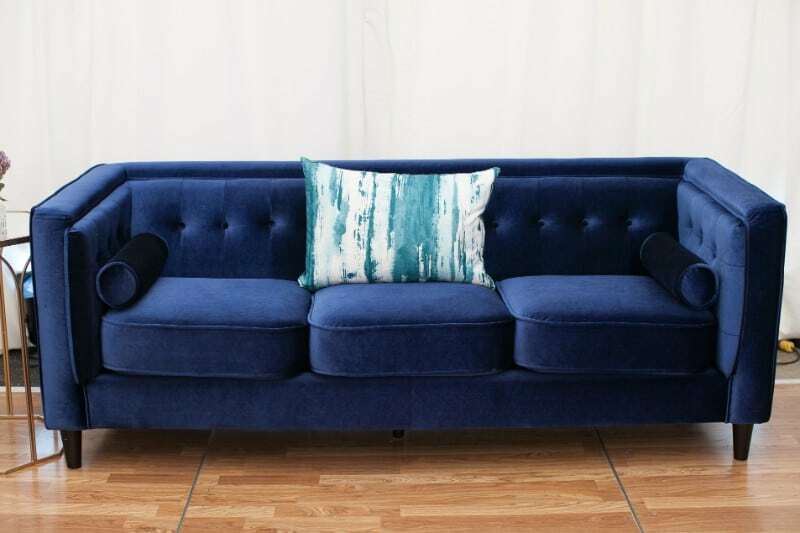 In the lounge area, our new Rory Navy Velvet Chair and Farrah Teal Velvet Chairs were set up alongside the new Saylor Navy Velvet Sofa and Arm Chair for a luxe design. 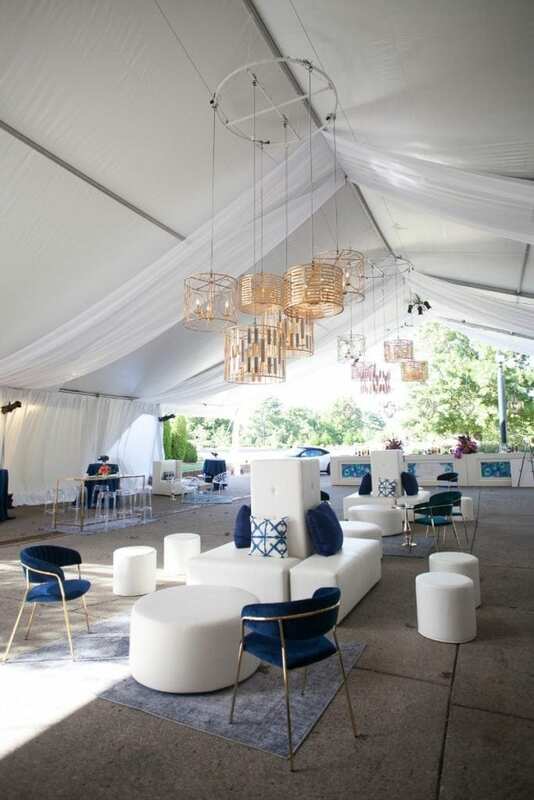 Old favorites, like our White Leather Mercer Lounge Collection were gorgeous under gold light fixtures from Bright Events Productions. 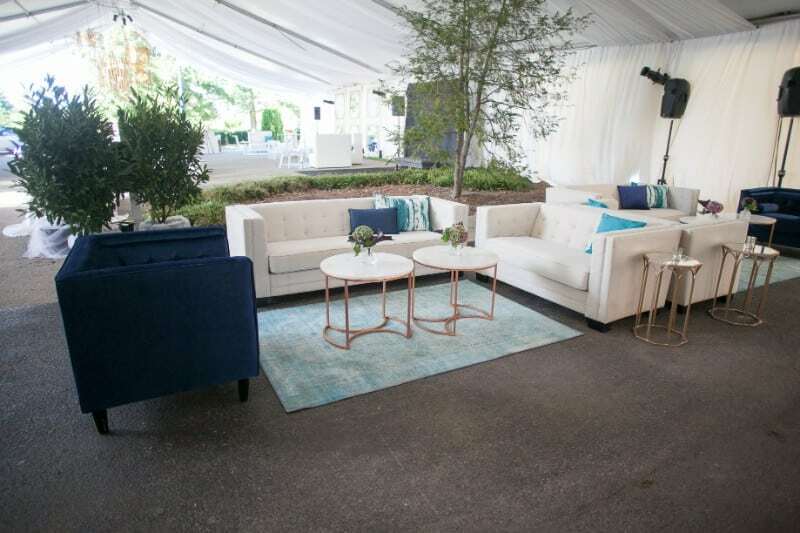 Lounge areas were brought together with our new Aqua Rugs and our well-loved Cece Side Tables as well as tie-dyed pillows in various shades of blue. 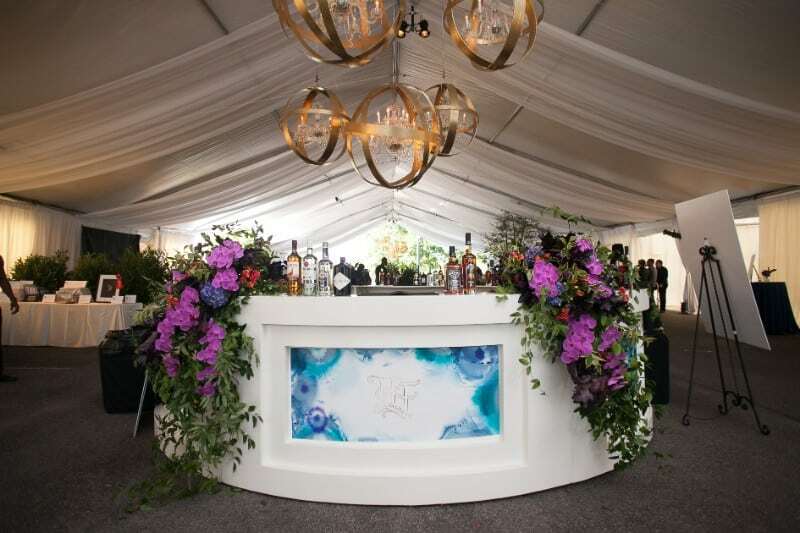 For drinks, several of our Harpeth Bars were set up throughout the large tent including our curved Harpeth Bar – a real show stopper! 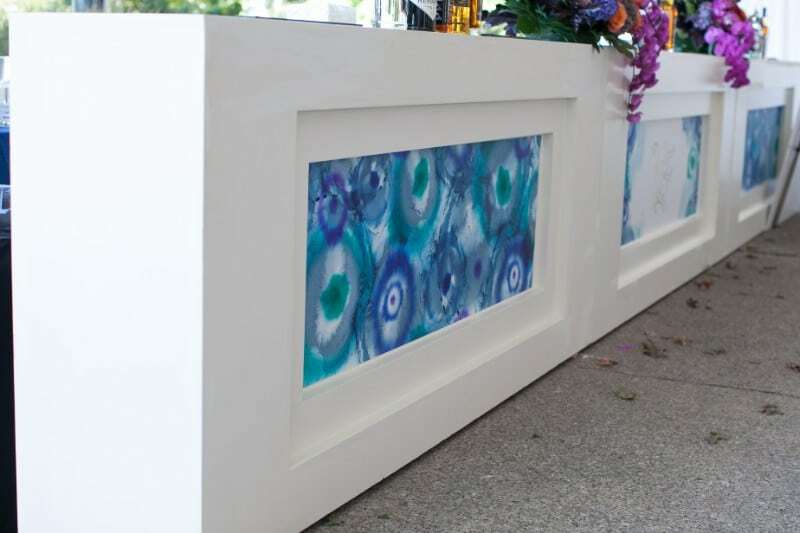 Custom inserts featuring the invitation’s design were added to the front of each bar – a unique feature that allows full customization to fit your event design. 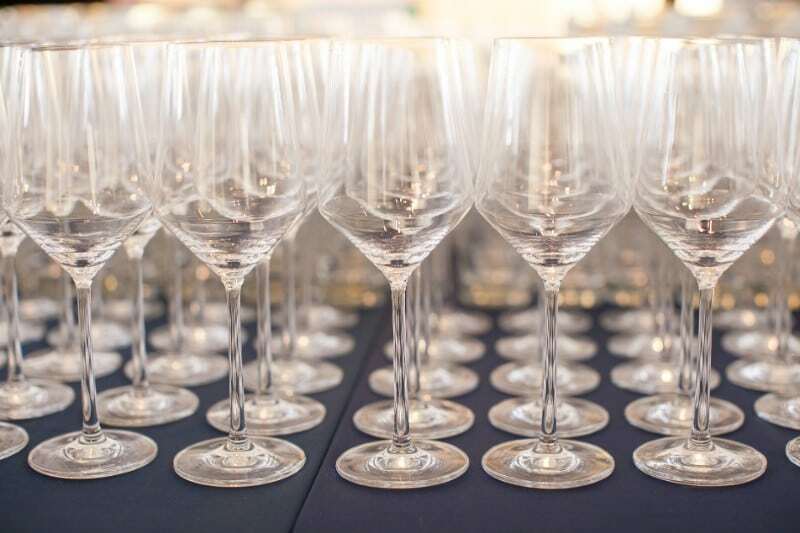 Hundred of glasses from our Pure Glassware Collection were on deck, making sure guests wouldn’t go thirsty! 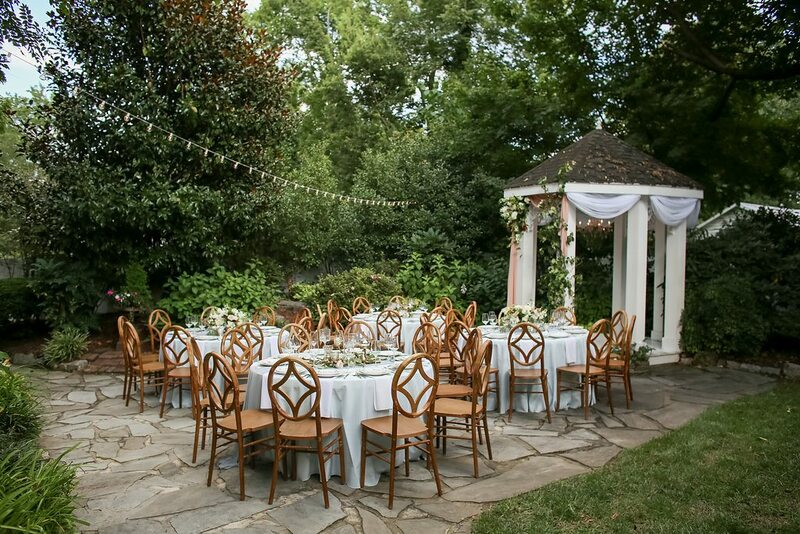 Guest tables featured our Gold Chiavari Chairs with Ivory Cushions around ivory dressed tables accented by colorful blooms. 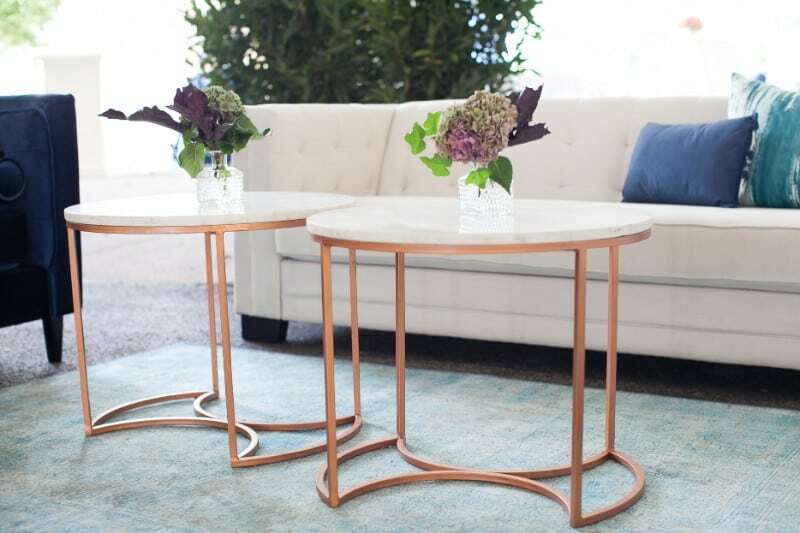 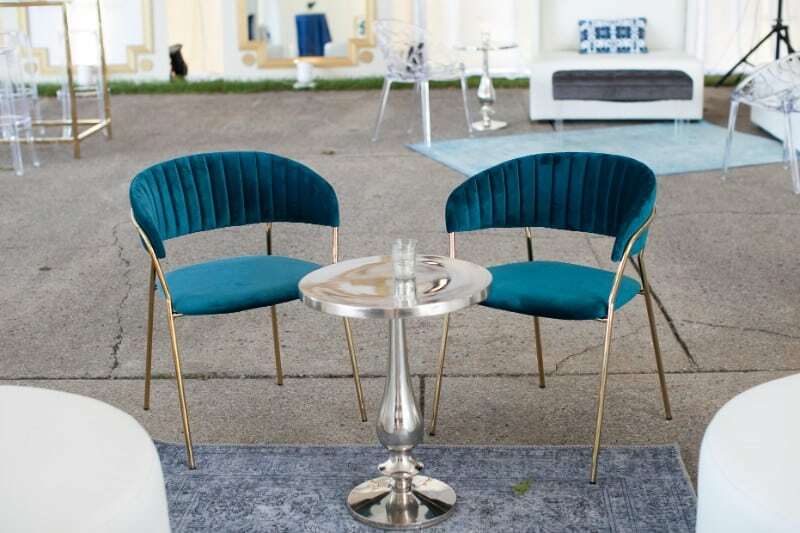 In addition, our new Acrylic Ghost Armless Chairs made an appearance with circular acrylic topped tables, bringing a modern element and breaking up the more traditional design. 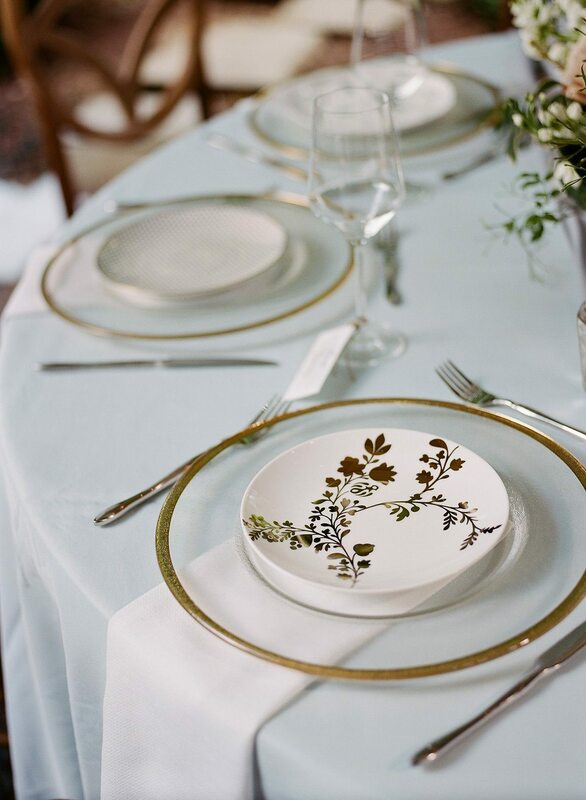 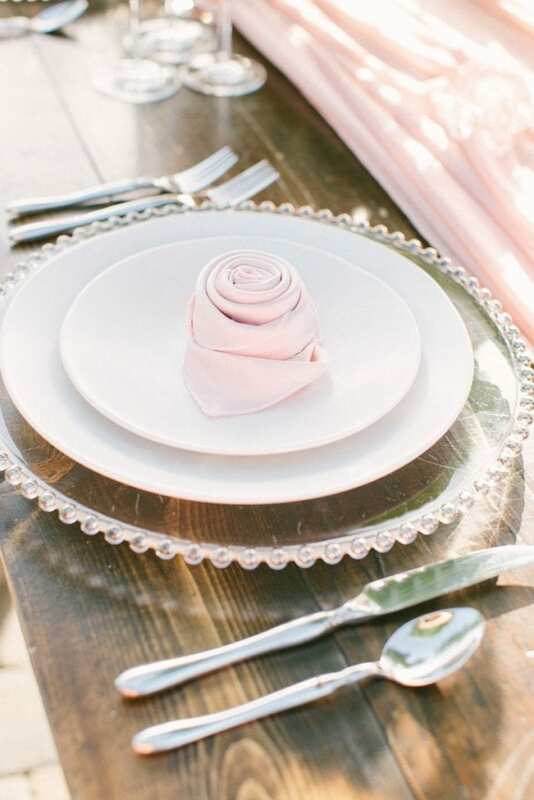 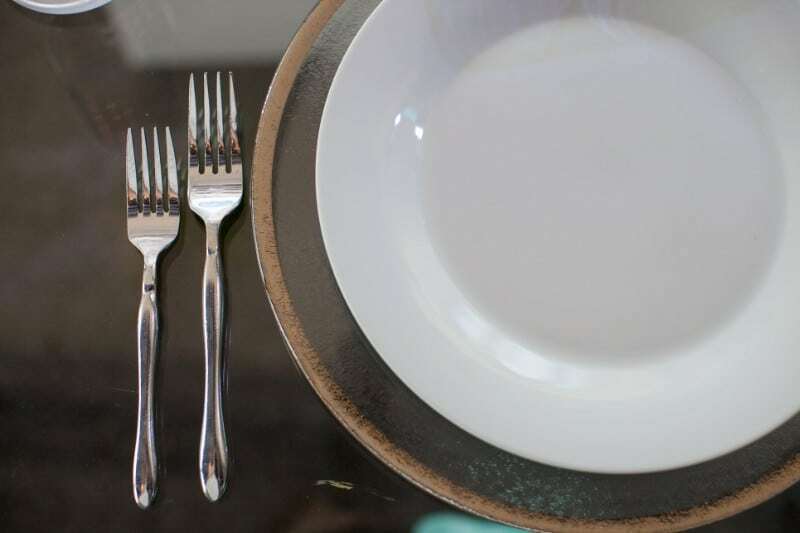 Our White Round China was set atop our Glass Chargers with Gold Rim and our Austin Gold Flatware or Sophia Flatware with Cybil Glassware finished the understated look. 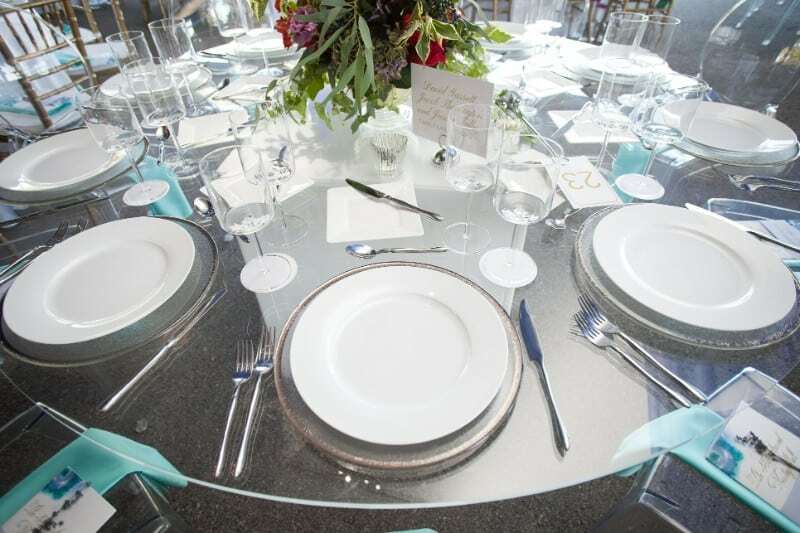 Guests tables were centered around a black & white dance floor, were guests would boogie down until late into the night. 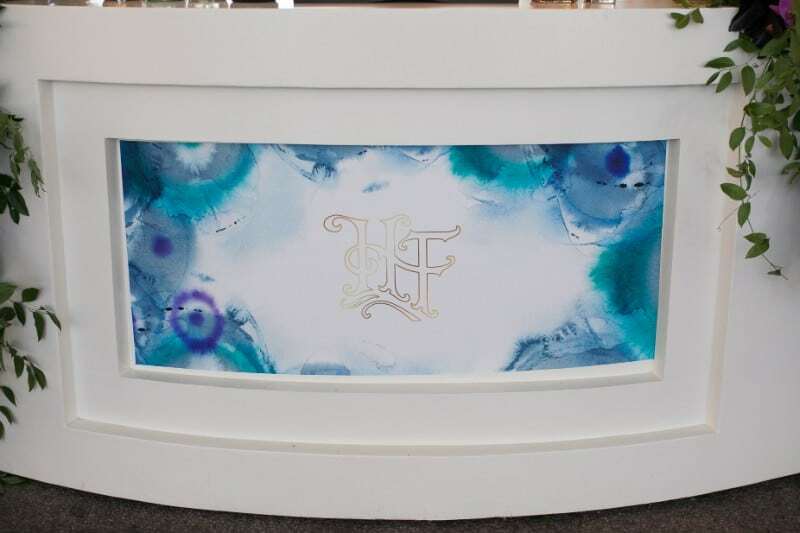 The vision for this year’s Heritage Ball came together so beautifully – and the bright pops of color added a fun and fresh design to an event that celebrates our great Franklin traditions. 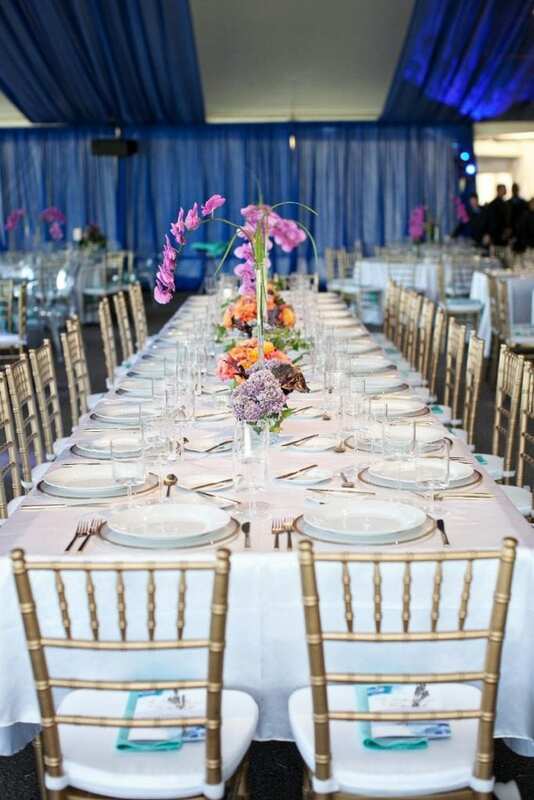 From the bright blues and vibrant aquas, this year’s Ball was truly a sight to be seen. 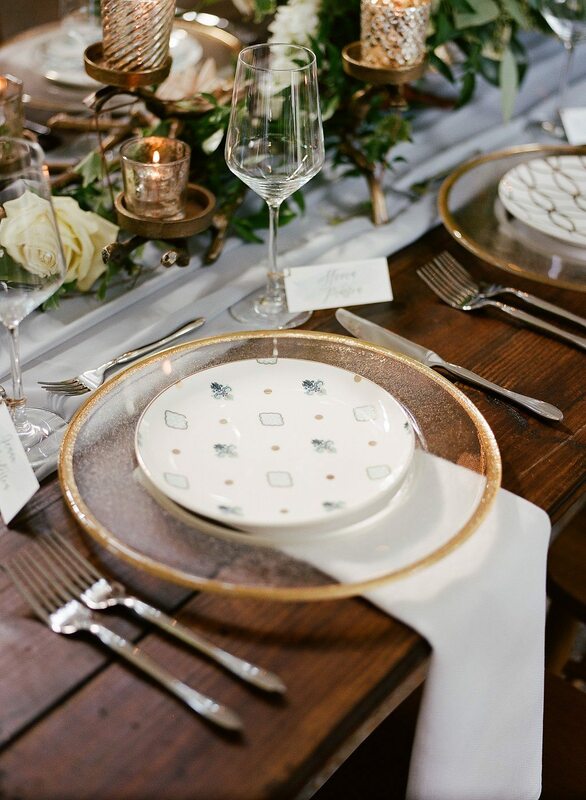 Thanks to Phindy Studios for photographing all the fabulous details. 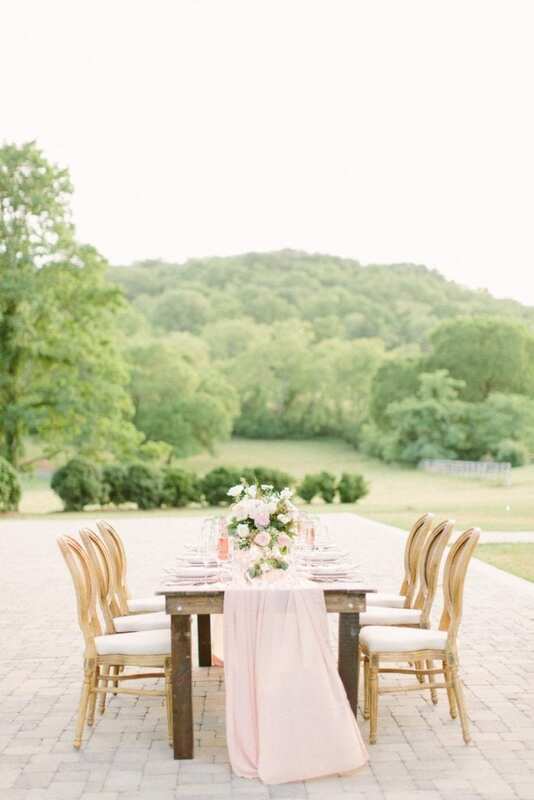 We had an amazing time at CJ’s off the Square’s tasting event in Franklin, TN. 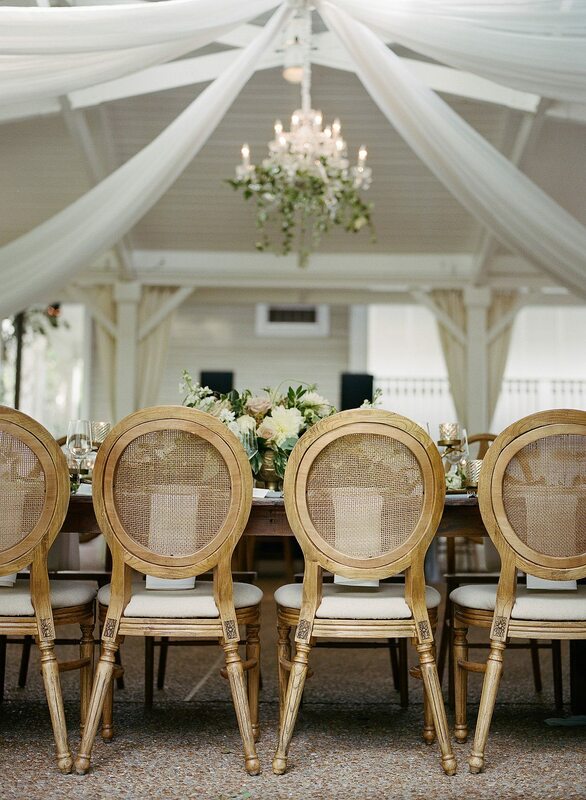 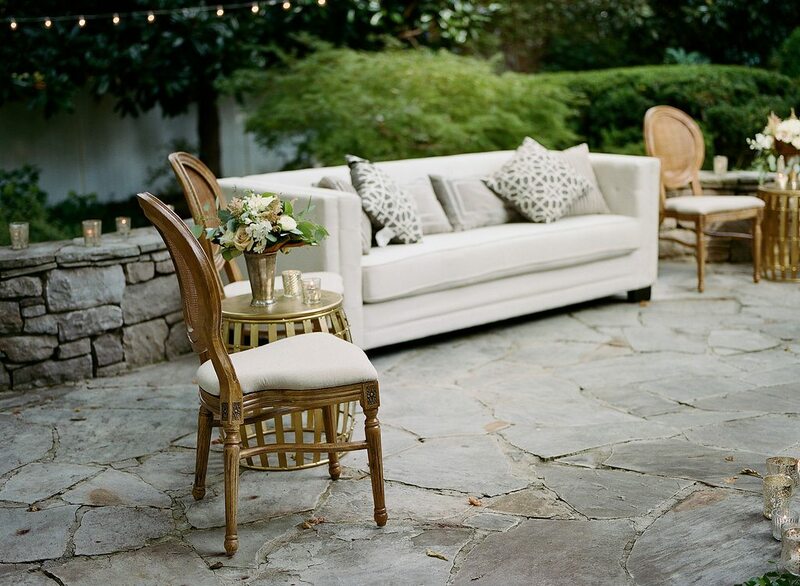 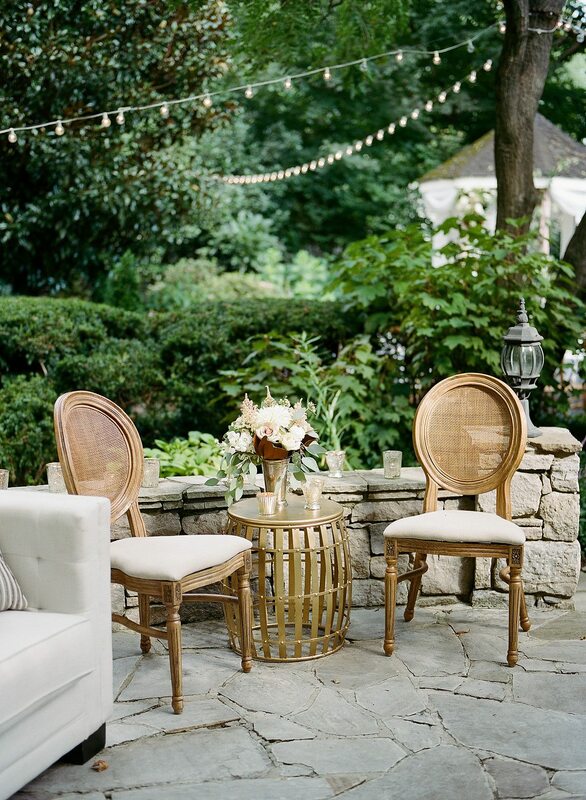 It was a garden party paradise, featuring natural wood and a touch of gold for glamour. 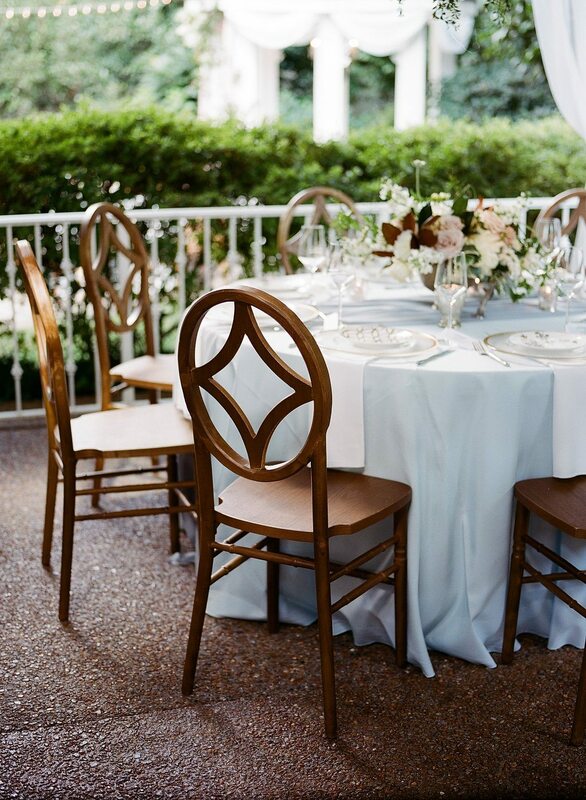 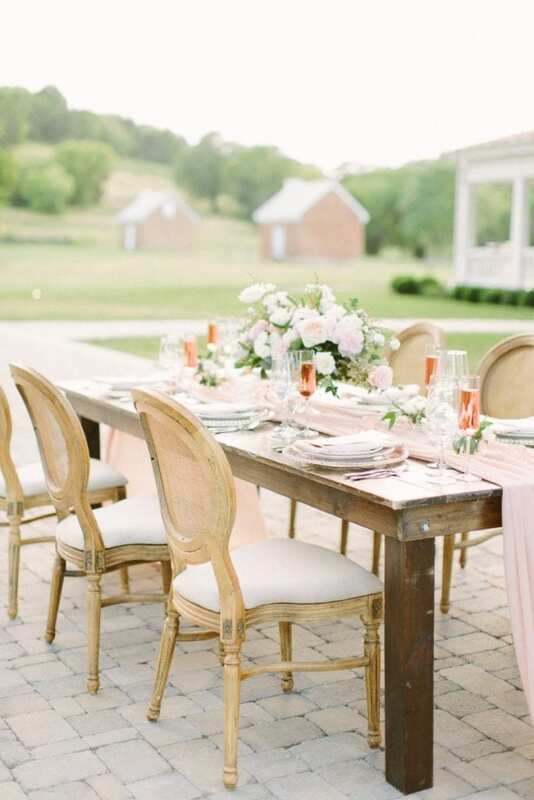 Fruitwood Farm Tables and our ever-popular Harlin Dining Chairs in natural wood enhanced this outdoor venue to create even more beauty in the garden. 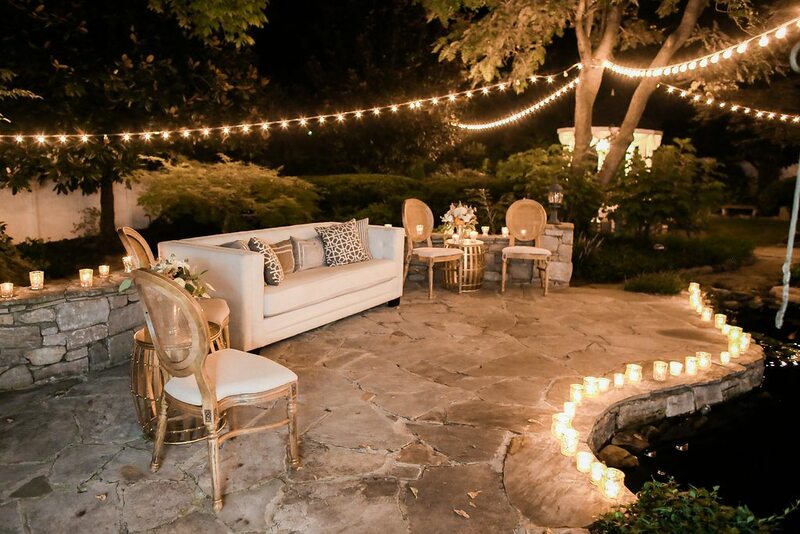 In the garden, our Santorini Couch, Adeline Dining Chairs, and Gold Conga Drum Side Table created a lush lounge area for guests to chat under the Tennessee stars, where they were surrounded by nature and candlelight. 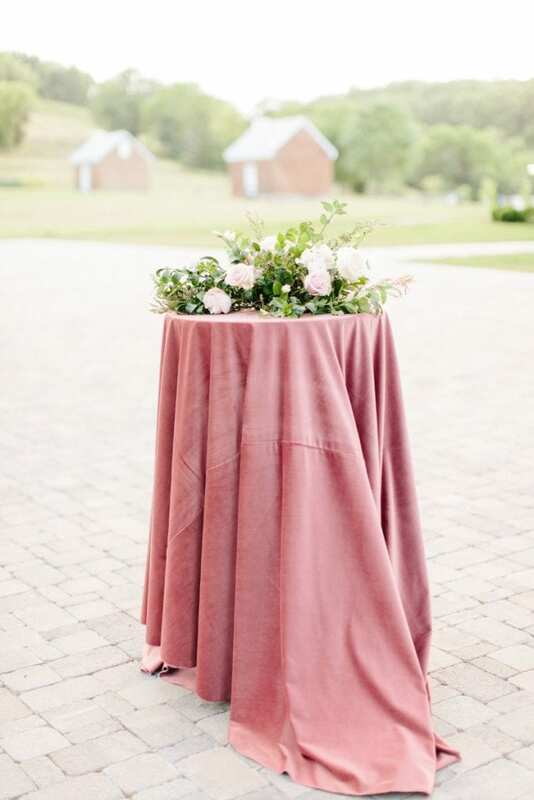 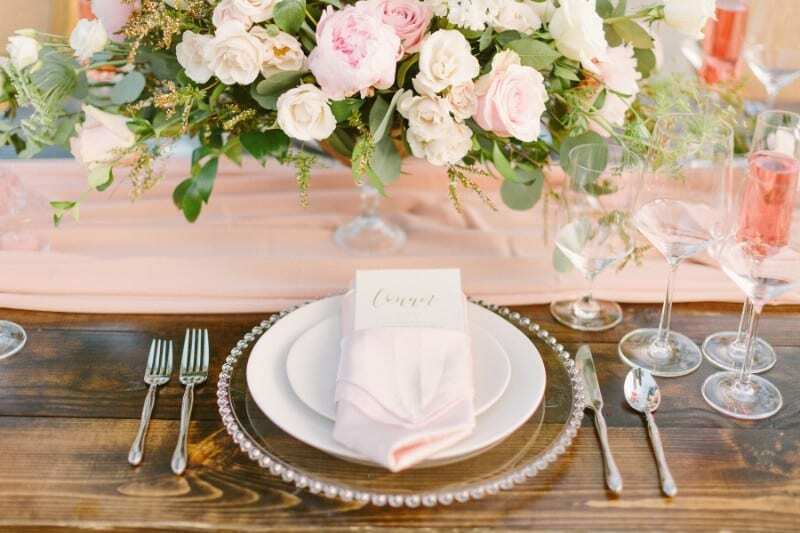 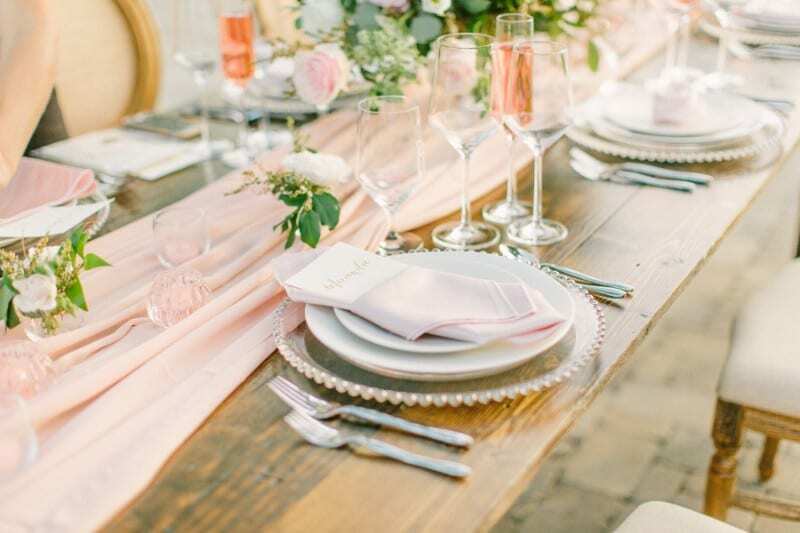 Guests tables featured our Chiffon Table Runners and lush florals for a romantic and chic tablescape. 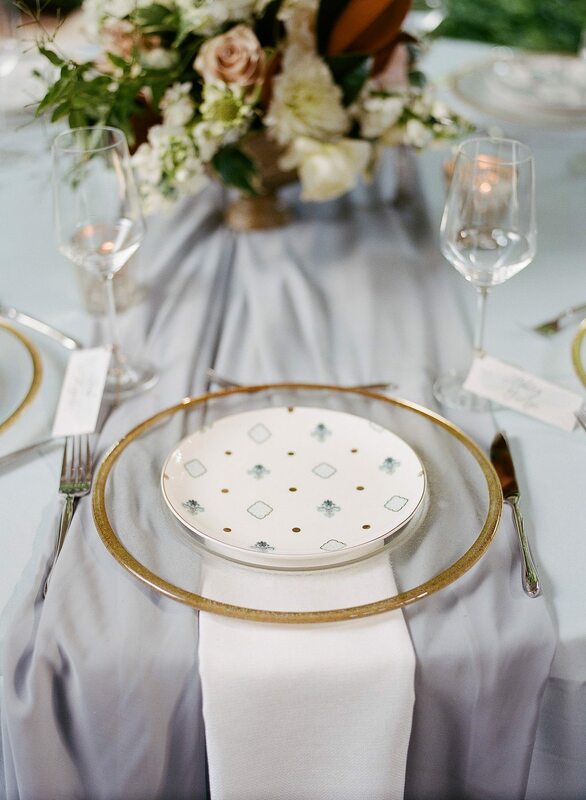 The new gold Laguna & Coronado Accent Plates rested against our Gold Rimmed Glass Chargers for updated vintage appeal, while classic White Pindot Napkins and elegant Sophia Flatware completed the design. 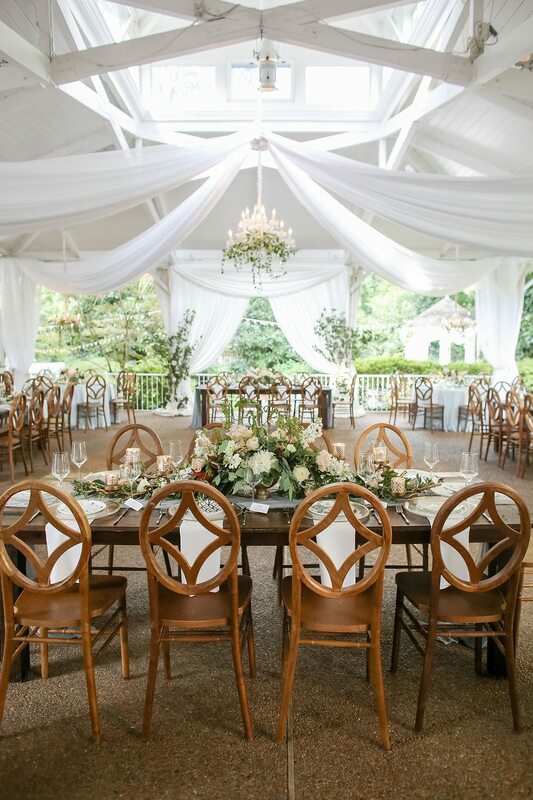 Couples enjoyed dining in the venue they would eventually say “I do” at, while exploring and tasting the new menu! 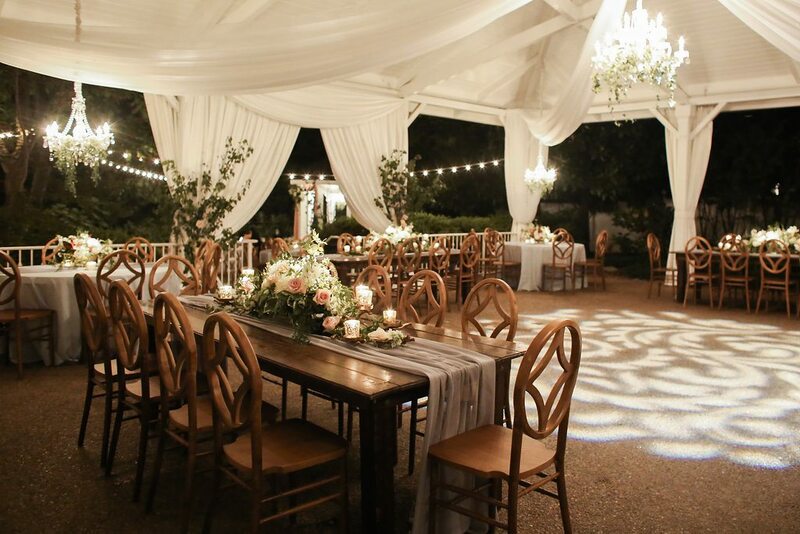 We love this dreamy secret-garden for a wedding or engagement party, as well as an elegant spring or summer tasting or dinner. 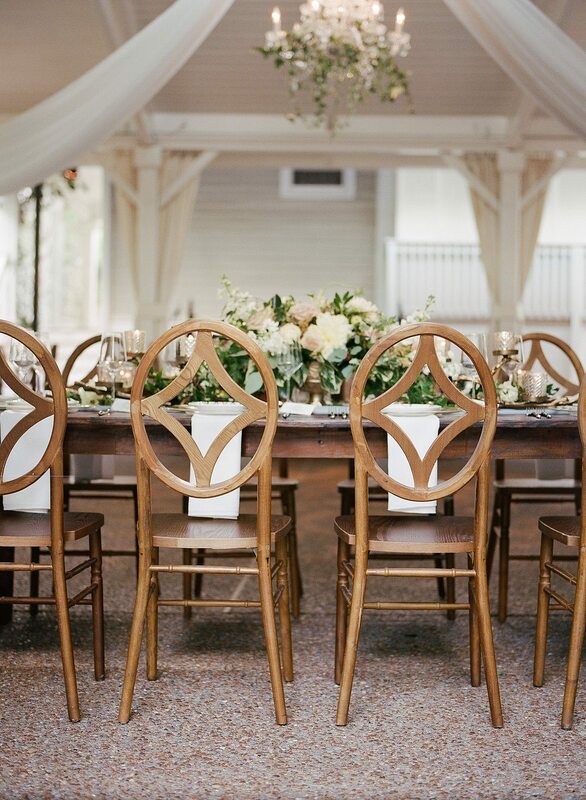 Many thanks to Jenna Henderson for capturing each detail!